How we Purchase Luxury Watches | Diamond Buyers | Estate Diamond Buyers. Continue reading "How we Purchase Luxury Watches"
At Hamilton-York Estate Buyers, we are the experts in fine watches. Our many years of experience and know-how make it easy for you to sell watches for top dollar. We have purchased millions of dollars worth of luxury watches over the years and have been told countless times that we offered more than other watch buyers. Hamilton York Estate Buyers inspects each watch as a unique item and determines the market for that item. This is part of our valuation process to ensure that we pay our customers the most we can when they wish to sell watches. The condition of the watch is important as a fine watch that was rarely worn and includes the original box and paperwork is worth far more than a worn out watch with no original documentation. On the other hand, an important watch that needs restoration may still be worth a substantial amount of money. 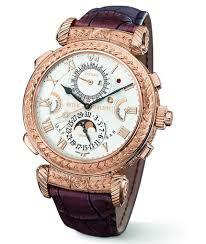 Hamilton York Estate Buyers is a Global Leader in Buying Luxury Watches. We provide our clients with the safest and most immediate purchasing procedures in the industry. Additionally all correspondence and transactions are held in strict confidence and shared with no one. When you or your clients wish to sell watches, simply call us toll free for an immediate consultation. Alternatively, you can fill out the “Sell Watches” form included on this website and after reviewing the information we will call and provide our best estimate of value to you. If you wish to sell several watches, please fill out the form as many times as needed and we will review each item individually. Based on the information that you originally submitted on the Sell Watches form online and information gathered during our phone conversation, we will provide you with a value range for your item. If you are interested in selling within this range, we will provide the details of sending the item to us at our expense or send you our “Shipping Kit” for you to return the item to us. Over the years we have had millions and millions of dollars worth of diamonds, jewelry and watches sent to us for immediate purchase. There is no cost or obligation on your part whatsoever for you to submit information to us and furthermore, there is no cost or obligation for you to send us your watch for our appraisal consultation and cash offer. Upon receipt of your watch we call you immediately to notify you of safe delivery. We then videotape the opening of your package to document the contents and then submit them to our laboratory specialists for cleaning, weighing and grading. Please note that we are unable to purchase mass-produced watches such as Bulova, Citizens, Gucci, Seiko, Timex, etc.